Hey there busy bee! Have any cheques you’ve been meaning to deposit? With Sunova Snap! 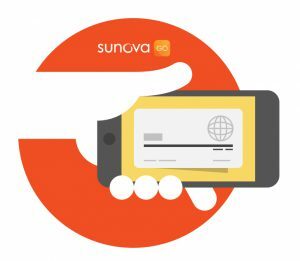 Cheque Deposit (available through Sunova Go) you can deposit your money on the go. Now you don’t have to work stopping in at a branch or ATM into your busy schedule (even though we’d love to see you!). How does Sunova Snap! work? It’s as easy as tap, snap, deposit! First, open Sunova Go and select Sunova Snap! Then, follow the instructions to take a picture and enter value of the cheque. Lastly, review the information andselect deposit. Sunova Snap! will process the transaction the same way we would here in a branch (so there still may be temporary hold on your money). Check out our super-handy FAQs for more information or contact us!